Miscellaneous Information: AV, Preeminent rating from Martindale Hubbell. Listed in the 2014, 2015, 2016, 2017, and 2018 editions of The Best Lawyers in America. Phi Delta Phi. NCDRC Certified Superior Court Mediator and District Court Arbitrator, AAA Panel Member for the Mediation of Employment Disputes. Charlotte, North Carolina employment and labor law attorney and North Carolina workers compensation lawyer Jack Smith grew up in Mooresville, North Carolina, and has lived in Charlotte, North Carolina, since being admitted to the Bar in 1986. Mr. Smith earned his juris doctor at the Wake Forest University School of Law in Winston-Salem, North Carolina. While in law school, Mr. Smith was a member of the Moot Court Board and participated in various Moot Court Teams including the National Team. Prior to law school, Mr. Smith graduated with an AB in English from Davidson College in 1983. While at Davidson College, Mr. Smith earned letters in cross county and track. Mr. Smith is admitted to all federal districts in North Carolina and the United States Court of Appeals for the Fourth Circuit. He has tried cases in numerous state superior and district courts and handled appeals to the North Carolina Court of Appeals and North Carolina Supreme Court. 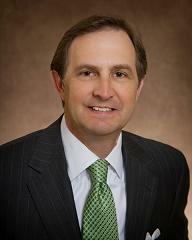 As a workers’ compensation lawyer, he has appeared before the North Carolina Industrial Commission hundreds of times. He is a member of the North Carolina State Bar, the North Carolina Bar Association, and the Mecklenburg County Bar. Mr. Smith is a frequent writer and speaker for continuing legal education courses in the areas of employment law and workers’ compensation. Additionally, Mr. Smith presents seminars for employers on all aspects of employment law. Mr. Smith and his wife, Margaret, have three children and reside in the South Park area of Charlotte, less than five minutes from the offices of Smith Law Firm, P.C.